Isobel Prasad (Ngāi Tahu, Ngāti Huikai) is the inaugural recipient of the Te Rokohira Scholarship, a new and exciting scholarship launched late last year for Ngāi Tahu whānui who have a passion for broadcast journalism. Isobel, who is 18 years old and former Head Girl at Burnside High School, has received a full scholarship to the New Zealand Broadcasting School at Ara Institute of Canterbury in Christchurch, where she will study towards a Bachelor in Broadcast Communications. 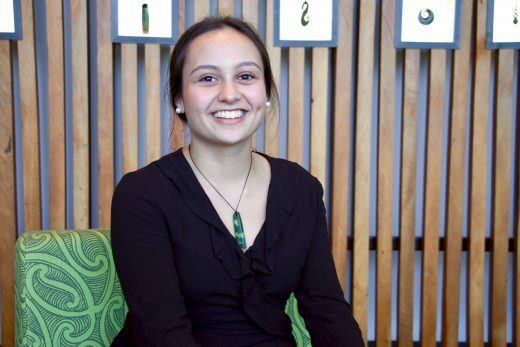 Through the scholarship, Isobel’s course fees and other course-related costs for the three-year degree will be paid by Te Rūnanga o Ngāi Tahu and she’ll also have the opportunity to gain valuable work experience with the Ngāi Tahu Communications team, in radio, video, print, online and photo journalism. Isobel describes herself as a life-long learner and is excited about studying under industry leaders at the New Zealand Broadcasting School, to launch her career in broadcast journalism. Meet Isobel and learn more about this amazing opportunity in the video below..